One of the challenges that good & sustainable farming deals with is market prices. General wisdom amongst both producers and consumers seems to be that food is or should be cheap. General wisdom is wrong. When we were still living in Israel we couldn’t afford organic products but we did make it a point to eat good nutritious whole wheat bread. It cost 3 or 4 times more then the standard white bread. This went on for many years until one day we forgot to purchase our good bread and had to settle for the regular white bread that was available in the small village shop. The bread felt empty, I had to eat twice as many slices of bread as I was used to just to satisfy my hunger. So the real price of this „cheap” bread was actually twice its label price. We live with deficient nutrition … and that leads to health problems which come with a heavy price (monetary and then some). We rely on food supplements that are very expensive for regular consumption. We eat too much … our bodies continuing to look for what they need … and we become overweight … fat … and obese … and that leads to other health problems which come with a heavy price. So how cheap is that cheap food? But even that is not the whole story. In most western/industrialized countries many (if not most) food products are „protected” and regulated by subsidies. There can be diverse motivations for subsidies but the end result is that government controlled funds are passed on to producers. If, for example, egg production in your country is subsidized, that means that in addition to profits from selling eggs, a producer receives additional payment from the government. „From the government” really means „from taxpayer money” and that really means „you”. So when you, for example, purchase an egg, in addition to what you pay in the store, you have already paid an additional sum of money through subsidies. How much? I don’t know … but it can be a substantial amount of money. Many farmers have become reliant on subsidies (rather then profits) for their sustenance. Now consider that subsidies are just one form of market manipulation. They are a simple manipulation because they directly allocate resources for a specific purpose. What about indirect interventions? What effects do trade agreements between countries have on food prices? What effects do trade agreements between international corporations have on food prices? What effect do trade agreements between countries and corporations have on food prices? And for Romanians … what effect does corruption have on food prices? Food is not cheap. Period. The bottom line is that whatever you pay for food in a store does not reflect the true price (let alone value) of food. Food is more expensive to produce and deliver then we want to believe it is. It’s easy to blame large corporations and corrupt governments but we have all worked together to create this situation. We were convinced that industrialization and commercialization would be a good thing – we liked the idea of being able to have anything we want to eat available to us for low prices whenever we want it. Governments merely represent us and our desires. Large companies merely look for potential markets and try to make a profit from them. We all worked together to create the food reality we live in … and for a while it seemed nice. Yet is hasn’t worked out has it? Food prices went up. So, being true to our dreams, we continued to push … food became even more indutrialized, efficiently processed … and … less tasty and less nutritious … and sometimes unhealthy (in some ways even poisonous). And still food prices continued to rise … and still do … everywhere. We ended up paying more and getting less. This is a direct result of all of us, together, pursuing our dream of cheap food. Maybe its time to dream up something better? Do we prefer to eat cheap food or healthy food? Do we prefer poor food all year long or healthy food when it is naturally available? Do we prefer that others prepare and pre-process our food for us or to take the time to lovingly prepare and cook our own food? Do we prefer a global menu of food that comes from all over the world or a menu that is based on what grows locally? 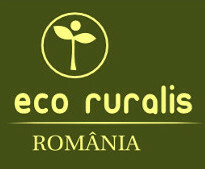 Do we prefer to support industrial food production (large corporations) or small-scale local producers (our neighbors)? Do we prefer „organic” food that is transported long distances or local, traditional food that is grown nearby? Do we want to be dependent on international corporations for our food supply or do we want to be a self-sufficient community? What is more important to us: fast cars, fancy furniture and electronic gadgets or food? We dreamt up and created our current food-reality. We can dream up and create a better one.